South Korean retail giant Shinsegae’s discount store chain E-mart said Monday that it will test-run its advanced robot concierge service from Wednesday, as well as adopt electronic shelf labels. The robot concierge, dubbed Pepper, will help customers at the imported food section of the E-mart Seongsu store. 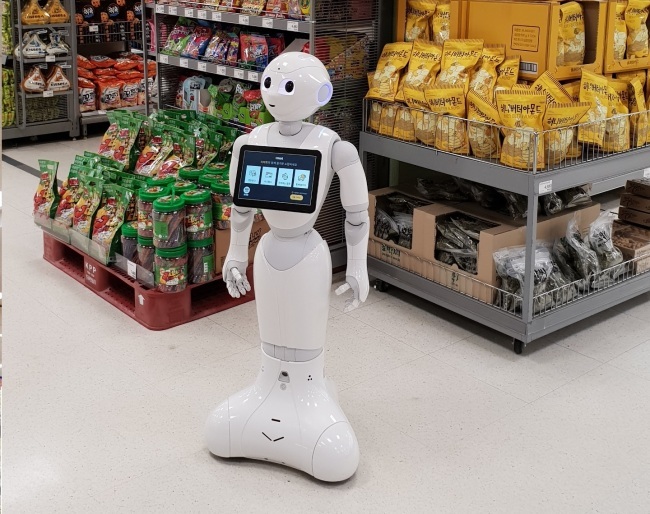 Pepper has been upgraded with an automated-driving mode and an artificial intelligence-based chatbot function since its first round of test runs in May, when it was only able to offer information on products and the store’s operation hours. E-mart said Pepper can now approach customers by using built-in sensors, ask what customers want to cook and provide information such as a list of ingredients. Its auto-driving mode was jointly developed by Seoul National University’s artificial intelligence research team. E-mart said the imported food section would be a test bed for Pepper, as customers may have trouble finding products given the wide range of ingredients. E-mart will operate Pepper until Sept. 12 and develop it for commercial use. The company also said that from September, some 30 E-mart stores across the country will use electronic shelf labels -- digitized price labeling -- as part of its effort to increase efficiency. E-mart is just one of the retailers here strengthening their competitiveness in offline shopping through the use of advanced technology. In December, Lotte Department Store unveiled the AI chatbot Losa -- Lotte Shopping Advisor -- whose main job is to recommend customized products for shoppers from fashion to food. Its recommendations are based on IBM’s AI service Watson, which analyzes data on a customer’s purchases, interests and preferences. It can also answer inquiries on online and offline shopping malls. Losa is available through the KakaoTalk application as well as Lotte’s online mall website and the mobile app El Lotte. “The longer we operate the service, the more data we accumulate to provide recommendations for shoppers. This will allow Losa to more accurately analyze customer preferences,” said Kim Myung-koo, head of Lotte Department Store’s digital commerce division. Online retailer Interpark also runs a mobile shopping chatbot concierge, Talk Jibsa, which offers customized information, such as the best deals, product recommendations and delivery tracking. Cashier-free smart grocery stores -- a new kind of store that Amazon Go first opened in the US in 2016 -- has landed here as well. 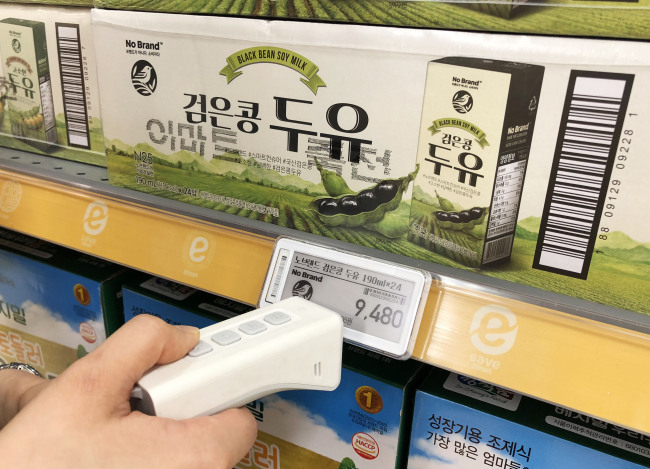 E-mart’s grocery chain E-mart Everyday launched a cashierless convenience store on Aug. 17 at its Samseong-dong store, where customers can make payment by scanning the barcode on a product via the mobile pay app SSG Pay. In May, E-mart’s online mall SSG also introduced a service called SSG Lense, which uses deep-learning image analysis technology to find a product on an online mall that matches a photo taken by a customer.